Cooking can be as amazing as watching art be created in front of you but it isn't easy and sometimes it just takes forever! Nobody has time for that, and that's why we make the poor decisions of choosing fast food over home-cooked meals! On the other hand, when you're the Flash it happens microwave fast. He saves money and his health by simply firing up the grill, throwing down a steak on the rack, and before you can tell him how you'd like it cooked, BOOM, it's cooked with a perfect medium singe. Now, keep in mind, that's the real superhero working the grill... your own results may differ. 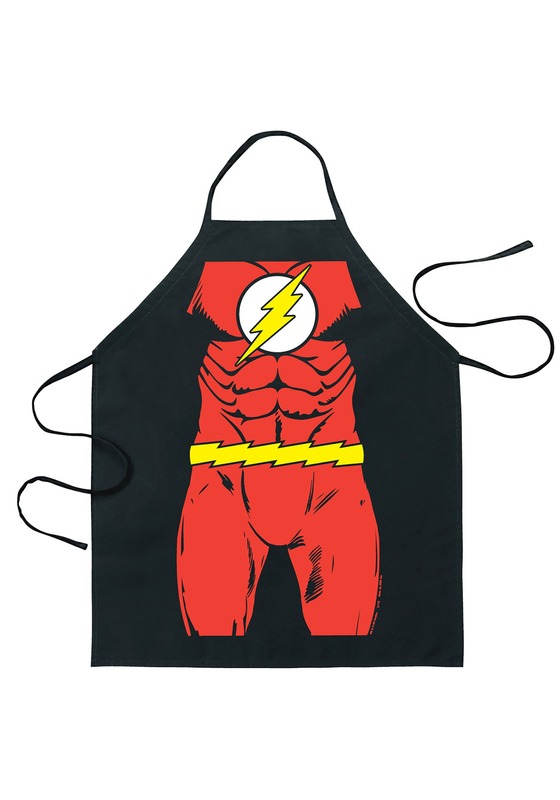 When you wear this Flash character apron we can't guarantee you'll be able to cook with superhuman speed (Not yet but look at technological advances lately! Superpowers can't be too far behind, right?) but we know that you'll look incredibly heroic while you flip that meat!